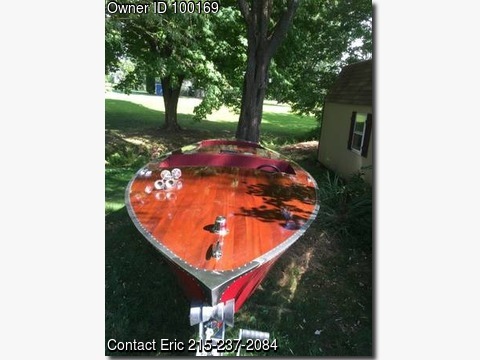 Boat is located iin Harleysville,Pennsylvania.Please contact the owner @ 215-237-2084...Engine hours: MerCruiser 357 @325 HP with a 1:1 Velvet Drive 71C transmission. Less than 10 hours on engine and drive. Length overall: 19 ft. 6 in. by 6 ft. wide Condition: New Make / Manufacturer: Custom built from plans by Clark Craft Company Model Name/ Number: Monaco 19-G11Clasic Runabout Hull #PA233847F111 PA Registration # PA 2137 DG.